If you know me, you know that I love art prints. I recently splurged on a print from Teil Duncan and got it framed through Framebridge. By the way, she has some great prints available right now. 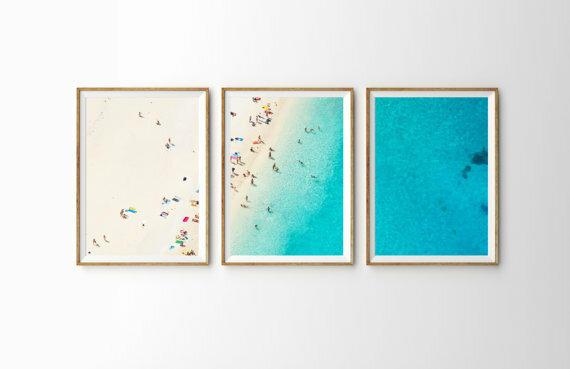 The next piece I would love to add to my collection is a few Gray Malin prints; but I don’t have the money for that right now. 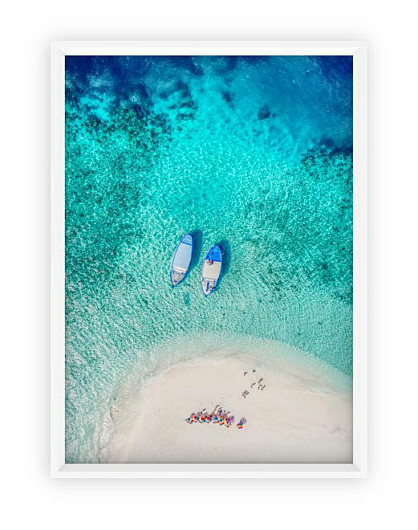 After doing some research, I found that there are so many artists who are creating aerial beach photography and selling them at budget friendly prices. If you do end up picking up a piece, I recommend that you splurge on a nice frame. It really does make all of the difference. Evelyn Henson has a really great blog post all about framing. I recommend Framebridge for framing art prints. 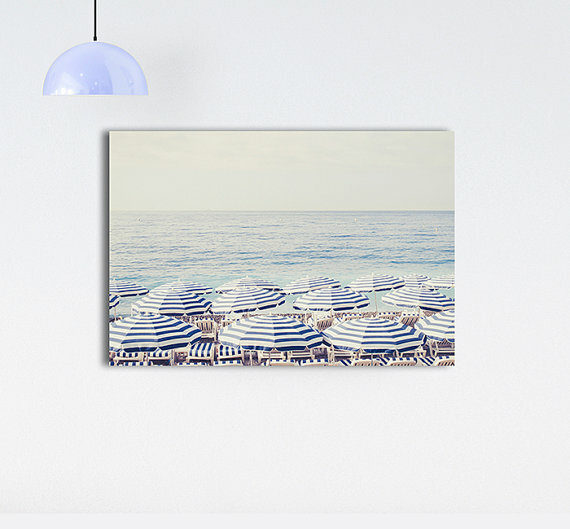 If you buy a digital print, you can upload it to their website and they will print it and frame it for you. Plus, with free shipping, it’s a total win. This isn’t sponsored, I just love Framebridge. I have included a link to get $10 off your first Framebridge purchase at the end of this post. Now, let’s get in to the art prints. Etsy and Amazon both have a great and wide selection. As an Etsy shop owner myself, I do recommend starting there. 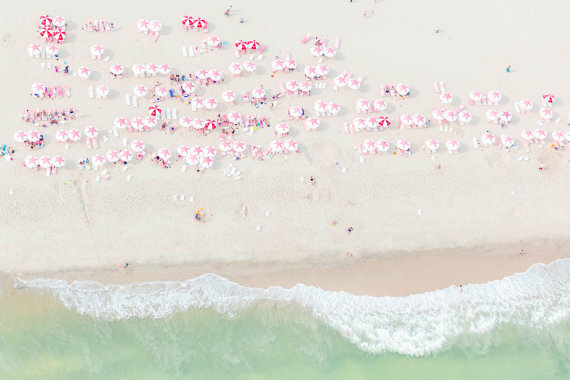 A quick search for “Aerial Beach Photography” on Etsy will turn up over 1,000 results. You can adjust your price range. Some of these are digital prints that you can buy and download right away, while others are hardcopy prints that the shops will send you. 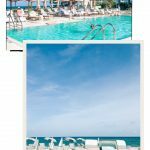 I tried to specify which they were under each image, but always check the description in the link before you purchase. Most of these stores have discount codes that you can use, so just click on each individual store to see them. 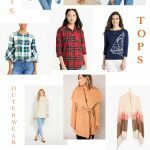 To shop, simply click on the image or the linked text below each image. 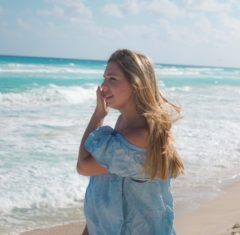 As most of the ‘under $25’ are digital prints, I do recommend reading the descriptions on each as well as the reviews. 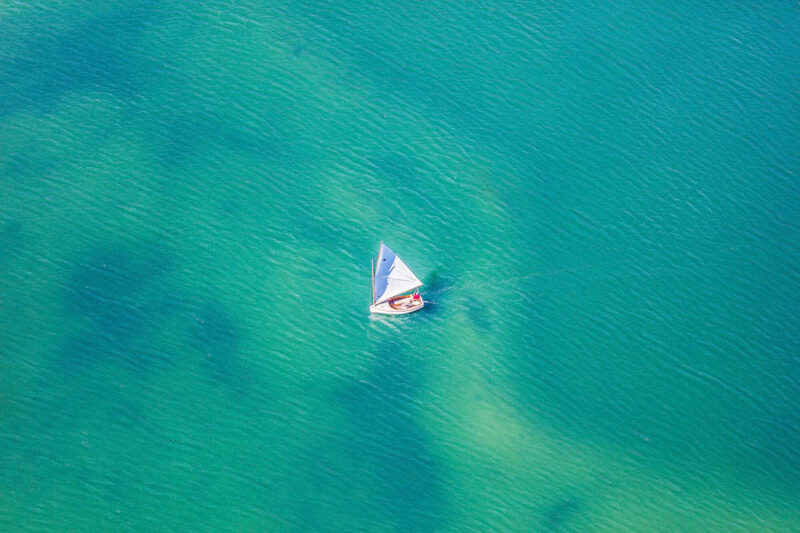 With digital prints, it’s often best to print smaller so they don’t turn out grainy. You may also ask the shop if they sell higher resolutions for larger digital prints. Just bought this one and it’s SUCH good quality. 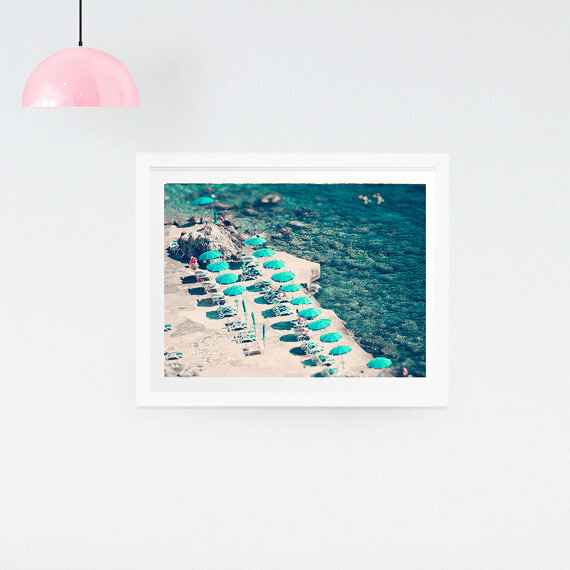 I am working with this Etsy shop and actually just got this piece myself in the landscape layout! I sent it off to Framebridge today, so expect to see it in person next week! 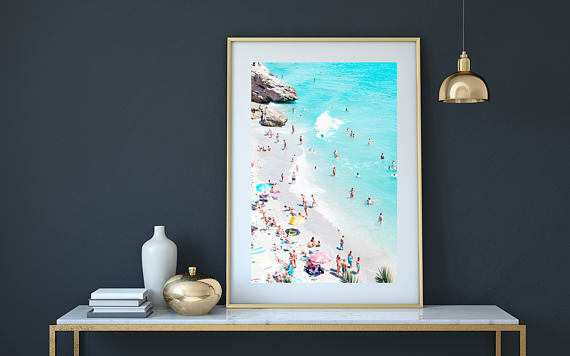 Most of these photographers have many other beach prints available. If you click on each link, you can explore their shops and see what others they have to offer. With most of these hardcopy prints, you can select what size you want to purchase. 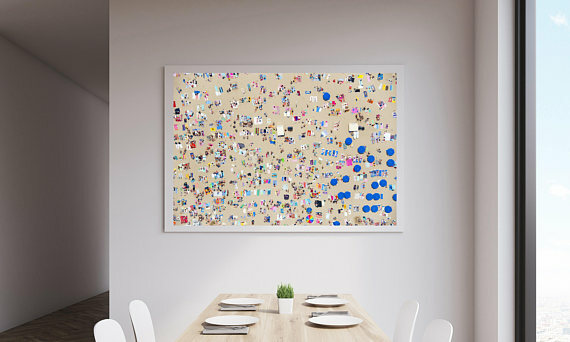 The more money you’re willing to spend, the larger prints you can get. You can also find some framed pieces or canvas wraps at this price point. 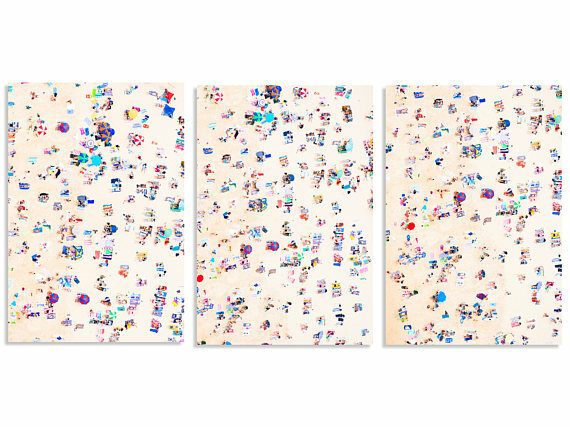 There are more triptychs (3 prints) available. Most of the other prints listed above are available in larger sizes that are over $50. 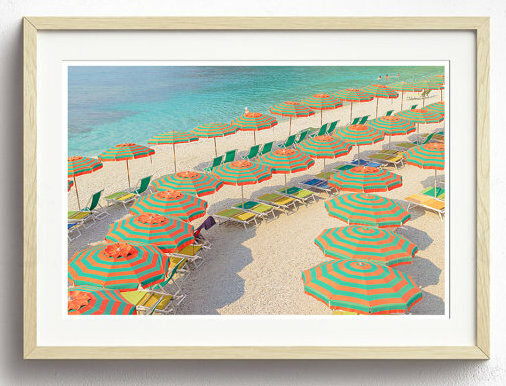 If you are willing to spend over $100, I would say it’s just worth it to just splurge on Gray Malin prints. 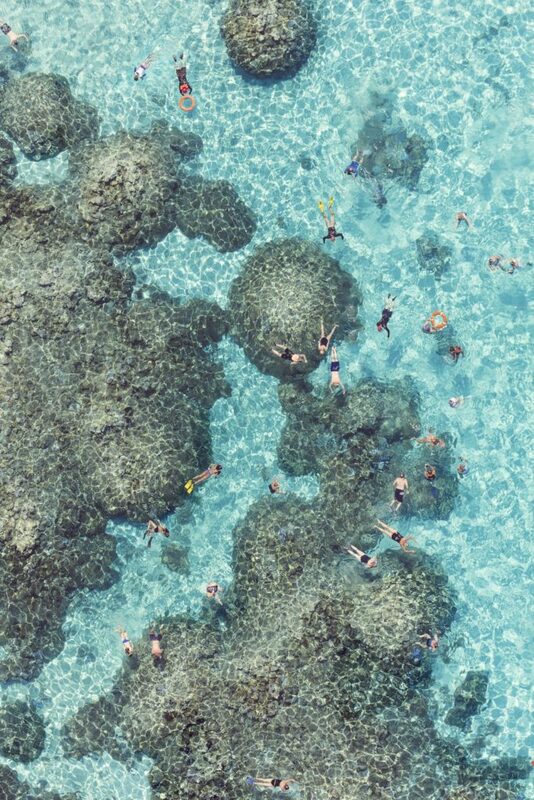 Below are some that aren’t Gray Malin, and some that are. 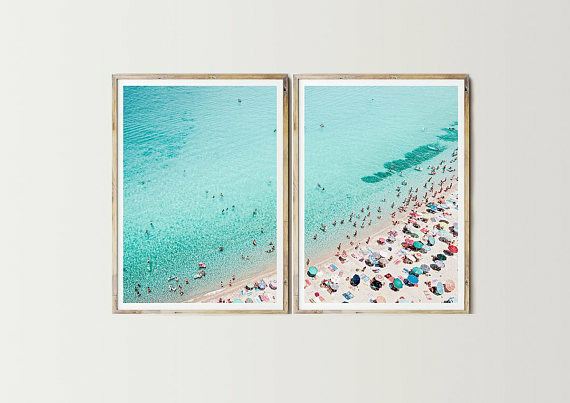 The nice thing about Gray Malin’s website is that they offer framing – and at a pretty good price. It doesn’t beat Framebridge’s pricing, but it’s a good option if you want your prints framed in-house. 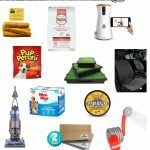 Best Deal for Your Budget? 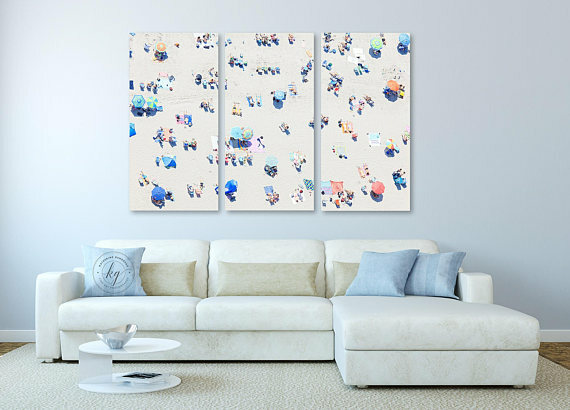 I think the best budget friendly way to get a look-a-like print is to buy a digital file off Etsy, and then upload it to Framebridge’s website. That way you don’t have to go through the hassle of getting it printed, and you’re getting a really nice frame. Most of the time a good frame will transform a piece into something better than it is by itself. I just bought two of these prints and sent them off to Framebridge today to get them printed. I can’t wait to show you them when I get them in next week! 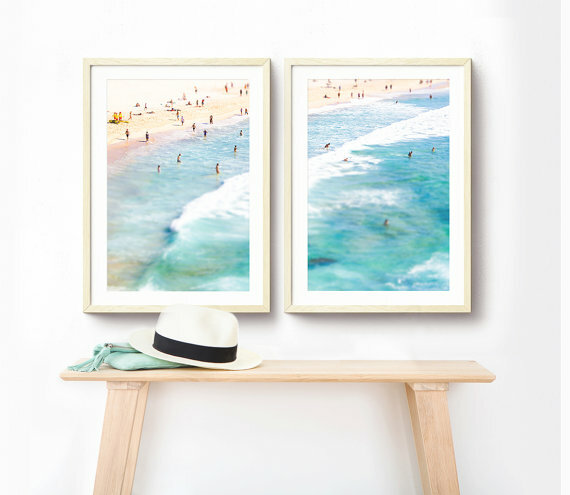 If you frame through Framebridge, use this link to get $10 off your order. 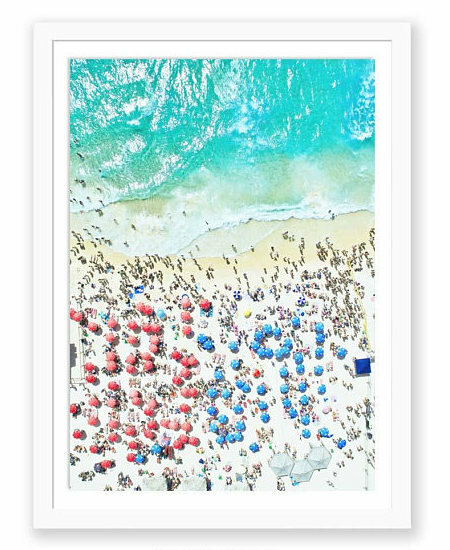 You can even get 5″x5″ images (Instagram sized) for $39. 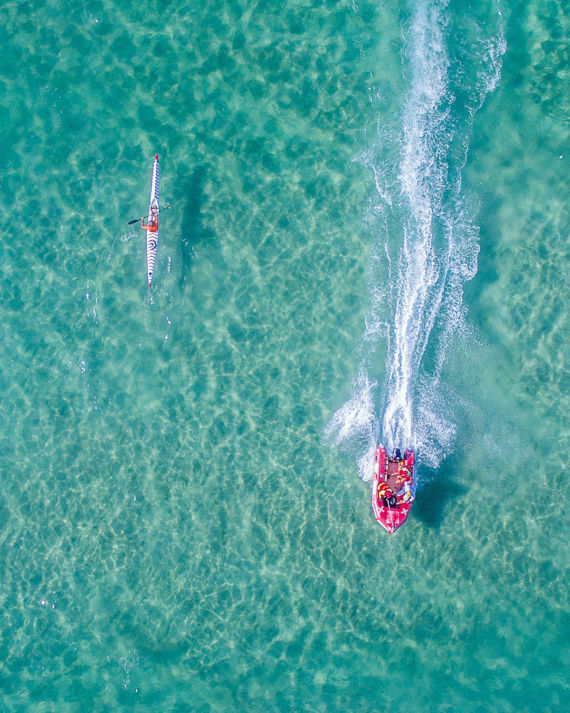 I love aerial beach photography because the photos are specific to a certain beach. 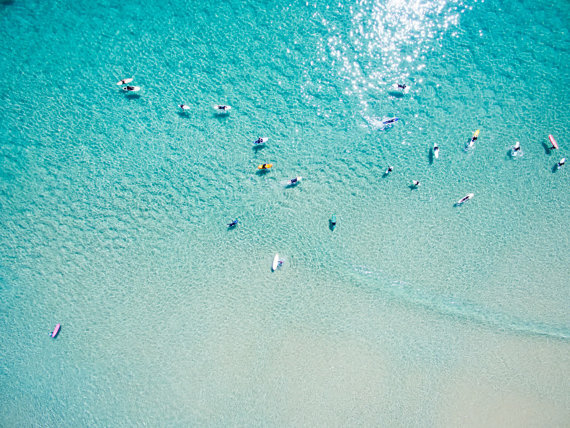 If you type in a beach that you’ve been to, you could probably find an aerial photo of it. 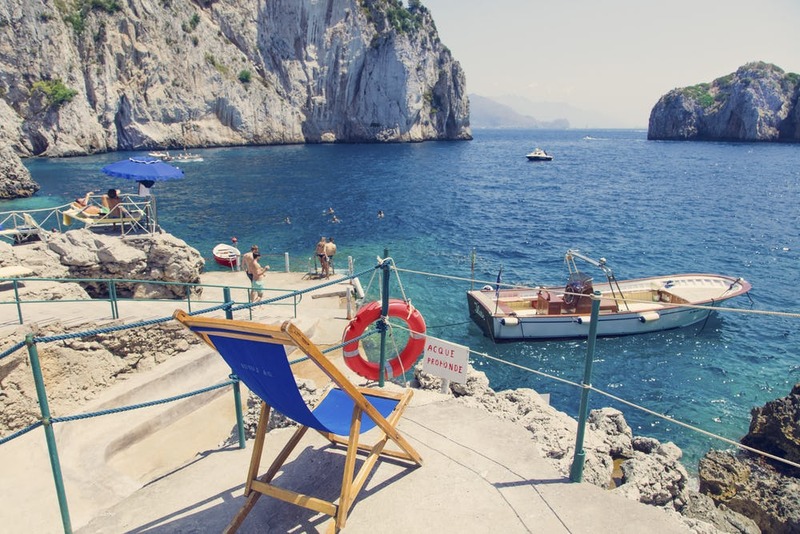 How cool would it be to have a gallery wall filled with photos of every beach you’ve been to?! 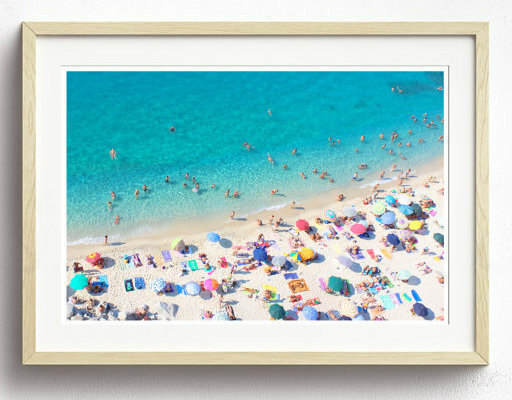 I think photographs hold memories, and this is the perfect way to encapsulate your favorite beach.